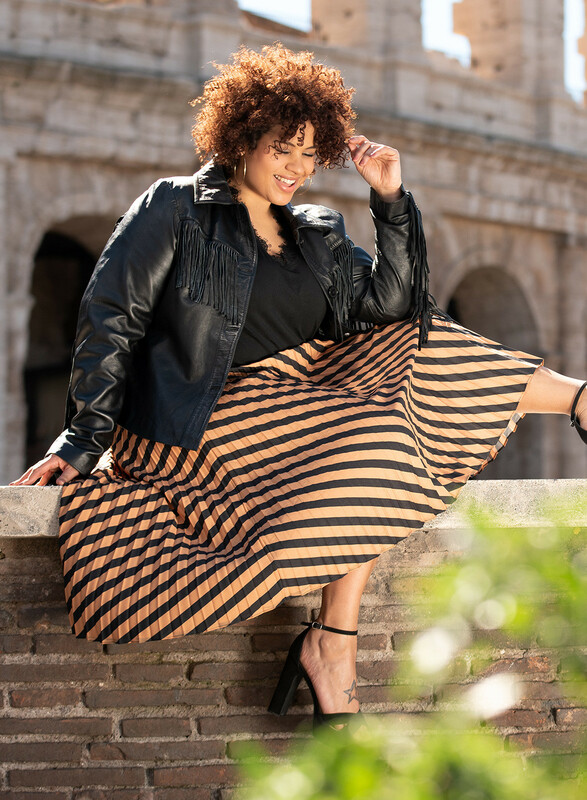 When the sun sets upon that beautiful Spring afternoon, then this jacket is just the piece to make you buckle up and take the chill off your shoulders. 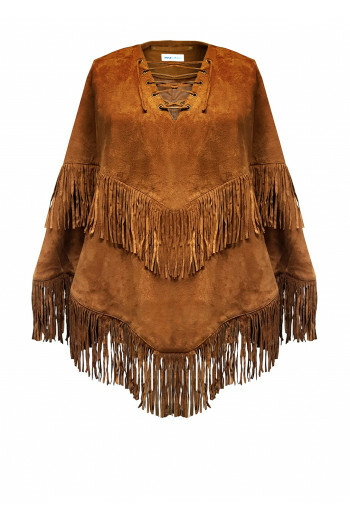 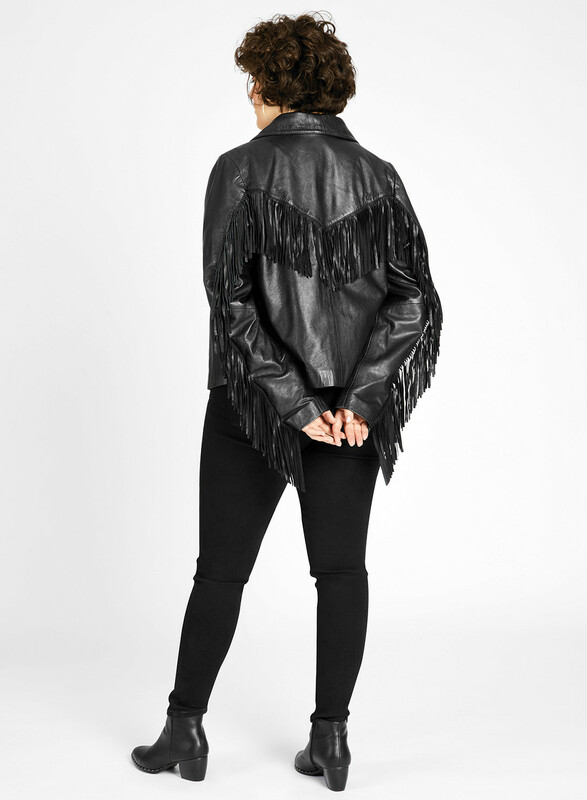 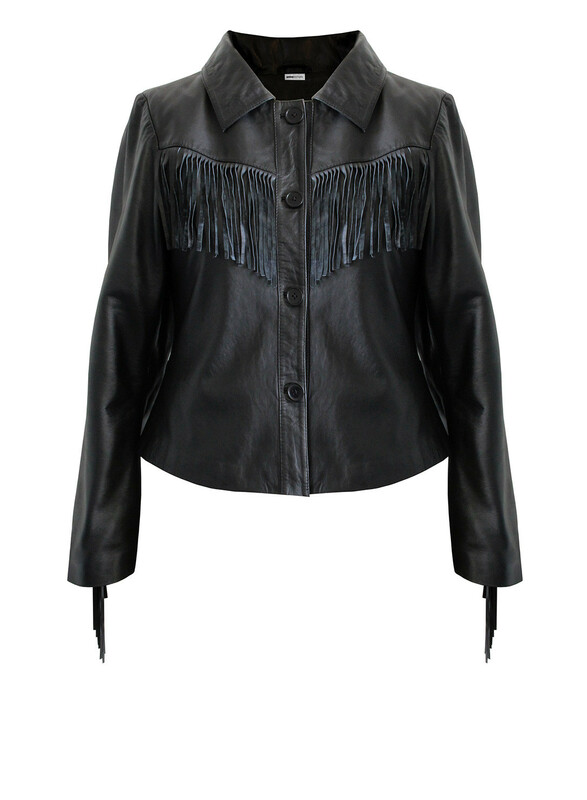 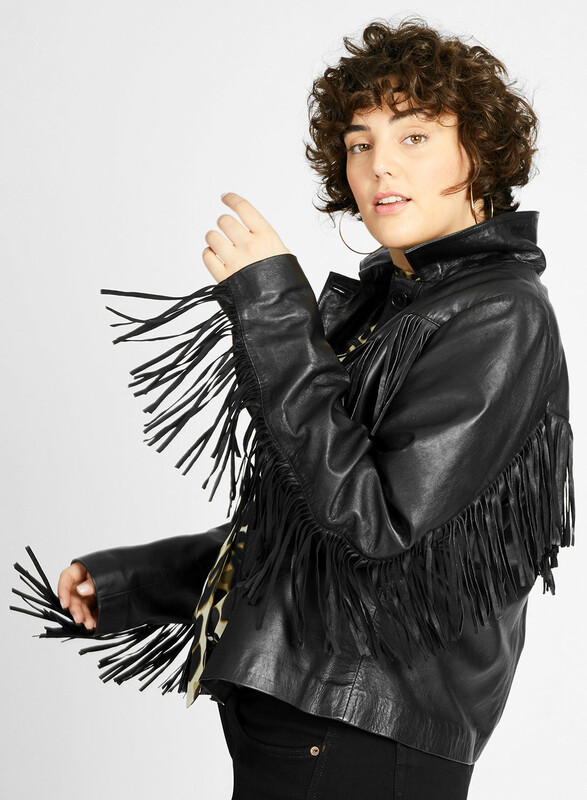 The brilliance of this hip-length leather jacket is livened up by stylish fringing along the front and back and down to the sleeves. Button closure at the front, style it open or closed. 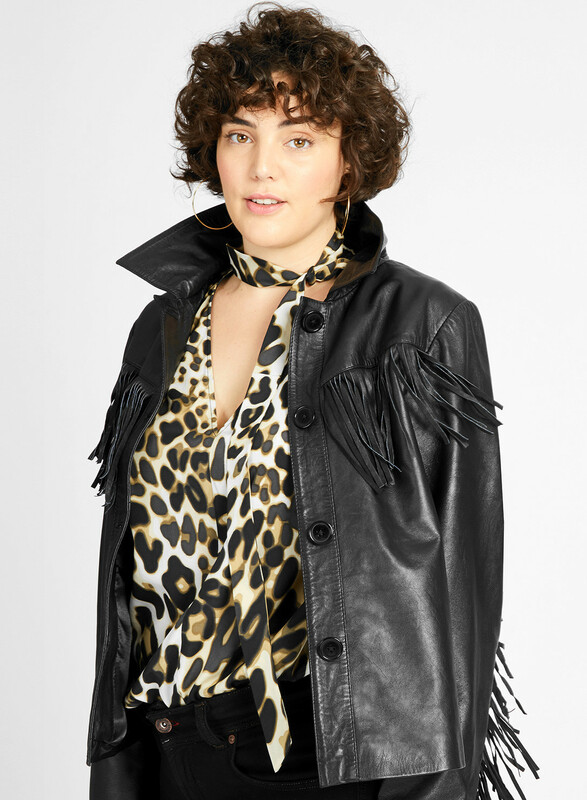 Pair it with the leopard satin boho top when having a day out around town or wear it with the khaki crepe jersey wide neck dress for a striking evening look! 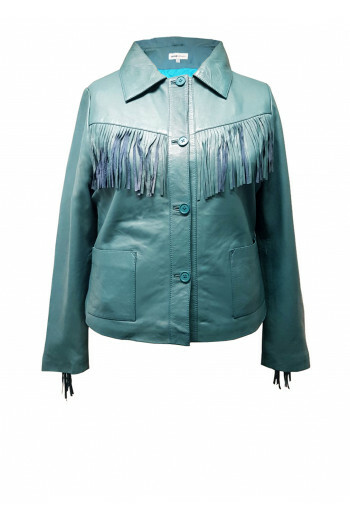 Comes in a sophisticated black and cool teal.